A post from me that’s not about history? I know, I know. But I’m looking at things in the long view- eventually ScarCon will join my own ScarWars event as a nodal point in the history of Scarification, so…. 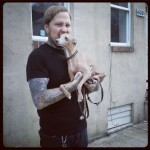 this post is just coming a bit early! 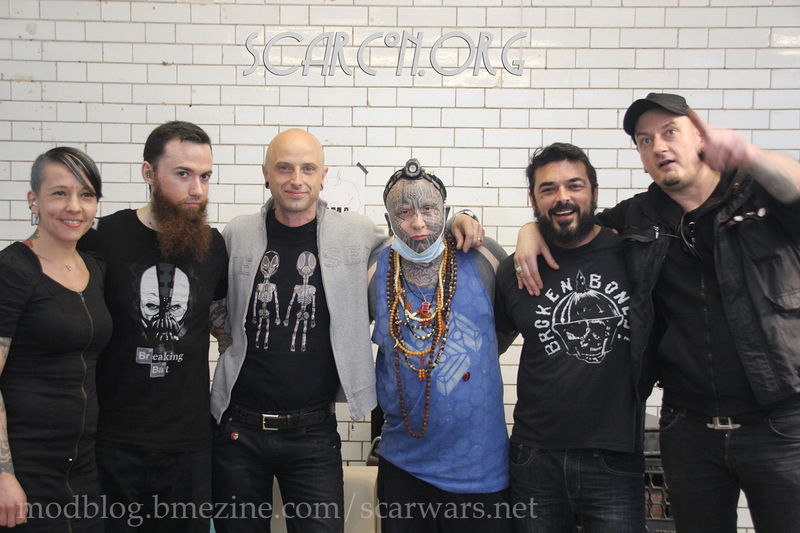 The artists for the inaugural London ScarCon were: Christiane Lofblad, Ryan Ouellette, Bruno BMA, Iestyn Flye, Ron Garza and Brenno Alberti . I’m going to be rolling more photos out soon, here and over at Scarwars, so check back! This entry was posted in ModBlog, Shawn Porter and tagged Brenno, Bruno, Cutting, Ron Garza, Ryan Ouellette, Scarcon, Scarification, Shawn Porter by shawnporter. Bookmark the permalink. are there any plans for another scarwars or anything else like it in north america at any point? Personally, I have no plans to host another ScarWars, but put a bug in Ron’s ear about hosting a ScarCon in the US! 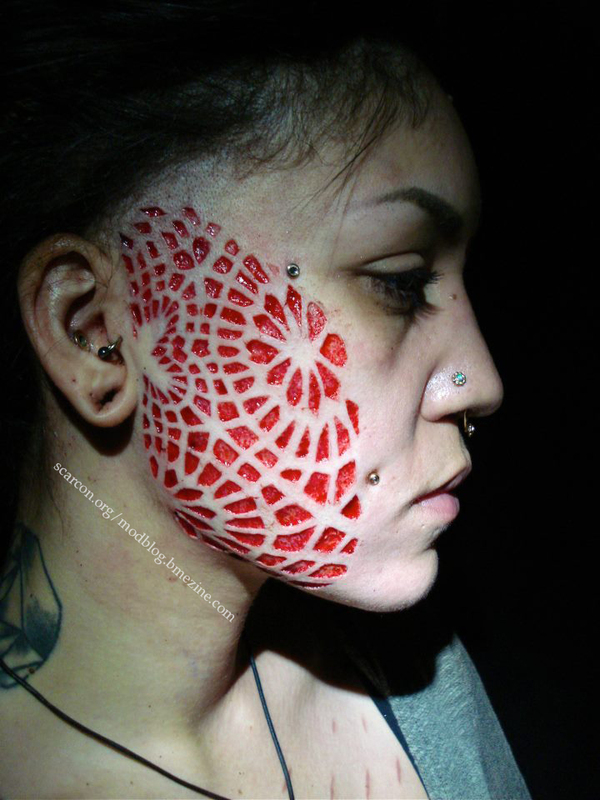 I would also be excited to see something like this move into Canada, there is not nearly enough body mod community up here! Oh dam the scars on the face look beautiful wish i could see what it looks like after healing!